Give us a call 866-217-0063! 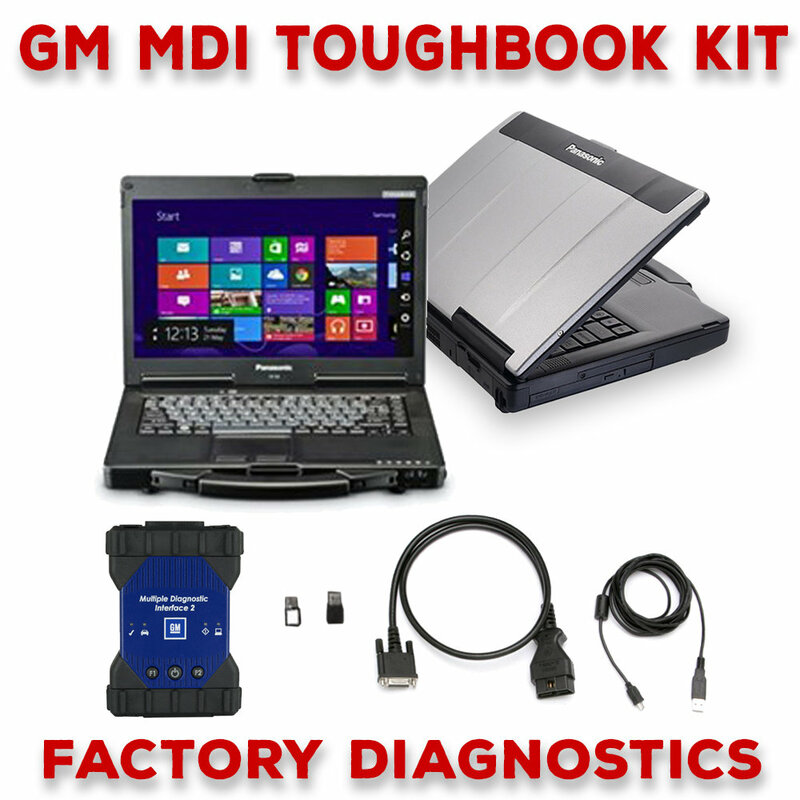 The GM MDI Dealer Toughbook Kit comes all set up, and ready to work for you. The GM MDI 2 Covers All Makes and Models of GM Vehicles. The GM MDI 2 replaces the old MDI and offers faster programming speed than the MDI. The MDI 2 can be used to perform all Diagnostics and also Pass-Thru programming on all GM vehicles built since 1996 and into the future. The new GM MDI 2 is much faster and more robust than anything else on the market. The GM MDI 2 connects to the vehicle via the OBD II connector using a new DLC cable. Connection between the MDI 2 and the PC can be accomplished via standalone (USB) or through a NEW Point-to-Point wireless feature, and the shops network (CAT5, or Wireless). The GM MDI 2 is similar to the Ford VCM 2 and is the GM Factory tool located in all the GM Dealerships and its simply the best option for all GM Makes. It gives the best coverage in the diagnostic marketplace today.